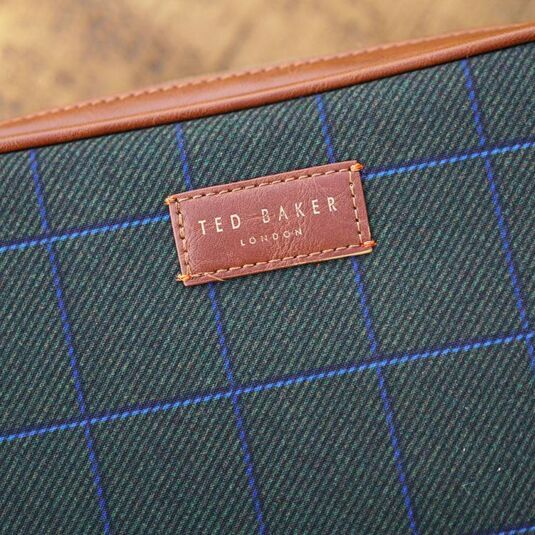 Like Ted Baker? Click here to view the entire range. 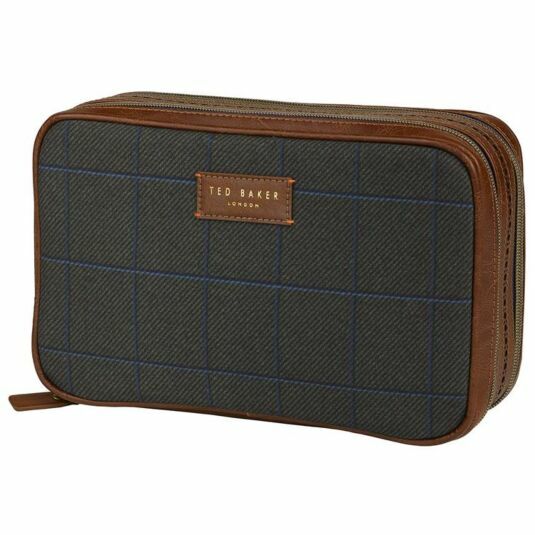 Always leaving something behind when travelling, that camera cable... your favourite shower gel, this Cables and Clobber Bag from Ted Baker is a great solution to keeping everything organised in one place when travelling. 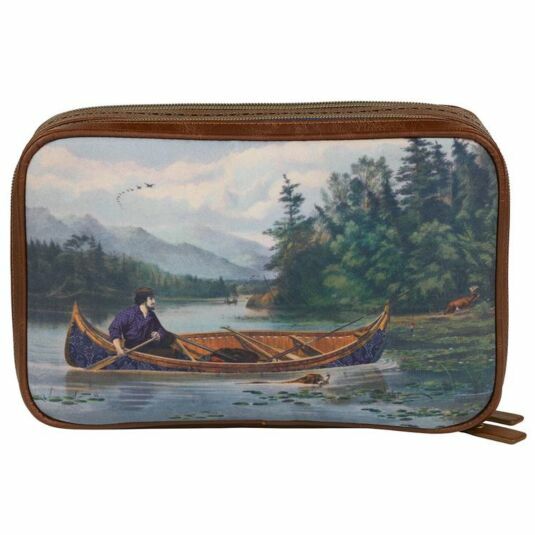 The cables and clobber bag is decorated with a vintage image of a man in a canoe on the front and tweed on the reverse with a brown brogue leather-effect trim around the top, bottom and edges of the bag. 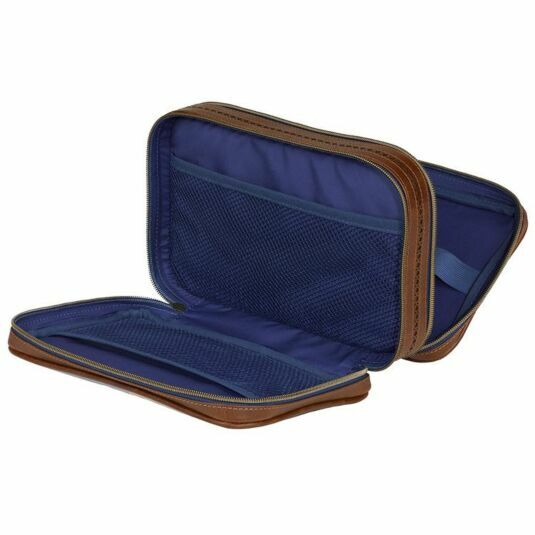 This bag has 2 lined compartments, both of which open separately and are secured with a zip. Opening one half reveals the perfect space for storing cables and chargers with 5 elasticated slots and a netted pocket. The separate other side is for your grooming gear (a.k.a clobber) with 2 large netted pockets to hold everything in place. 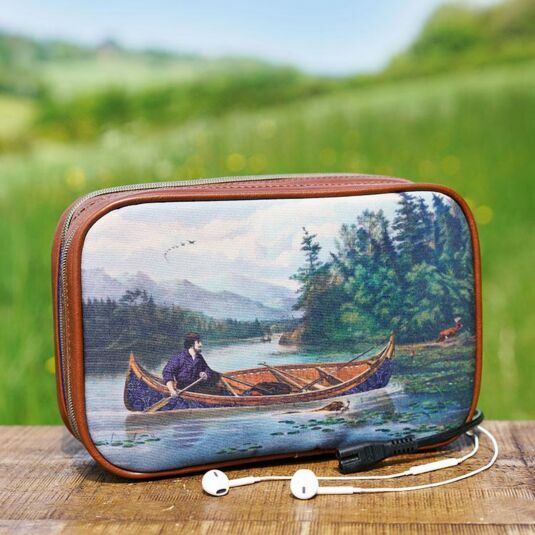 This would make a perfect gift for the man who likes to be stylish and organised when away from home. A perfect gift for a discerning man, especially for Father’s Day or any special occasion. Founded in 1988, Ted Baker has become one of the fastest growing leading lifestyle brands in the United Kingdom. 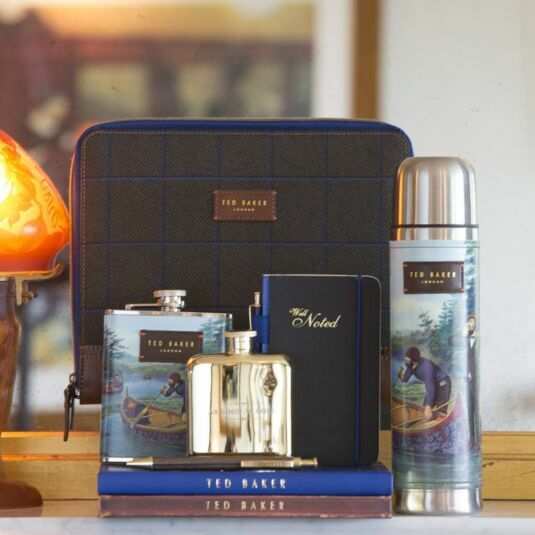 An iconic representation of British fashion, Ted Baker offers a range of fashionable clothing and accessories that is full of personality, premium quality and class. The stationery range features a collection of bold colours with emphasis on brogue and tweed with a modern twist.